8, Rue Frederic Bastiat, Champs Elysees, 75008, Paris, Paris, Ile de France, FRANCE. 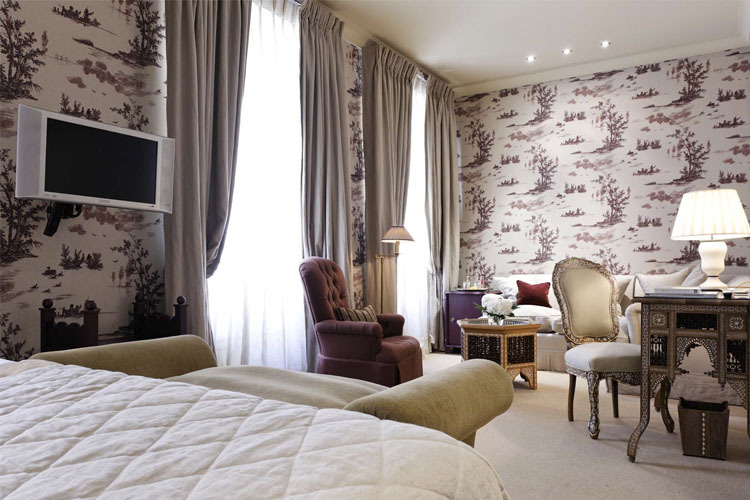 Standing on a quiet street of elegant, classical buildings in Paris' chic 8th arrondissement, Hotel Daniel Paris is set in an elegant Haussman-styled mansion. Inaugurated as a luxury boutique hotel in 2006, this charming property provides exclusive accommodation, fine cuisine and top-class service in a highly central location. 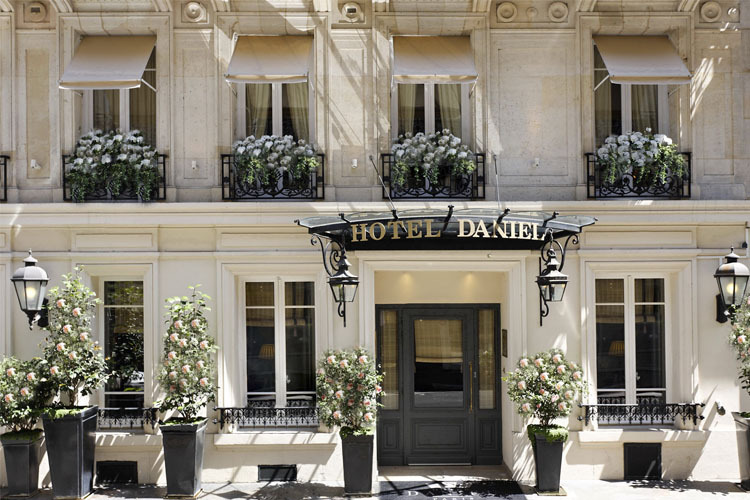 Strategically located, just a five minute walk from the Champs-Elysées and Rue Faubourg Saint-Honoré, Hotel Daniel Paris is ideally placed for both business and pleasure in the heart of the ''City of Light''. Within easy reach of numerous theatres, art galleries, government offices and up-market boutiques, the hotel is just three hundred metres from the Saint-Philippe-du-Roule Metro station, providing excellent links with all the magnificent landmarks and points of interest of the city. 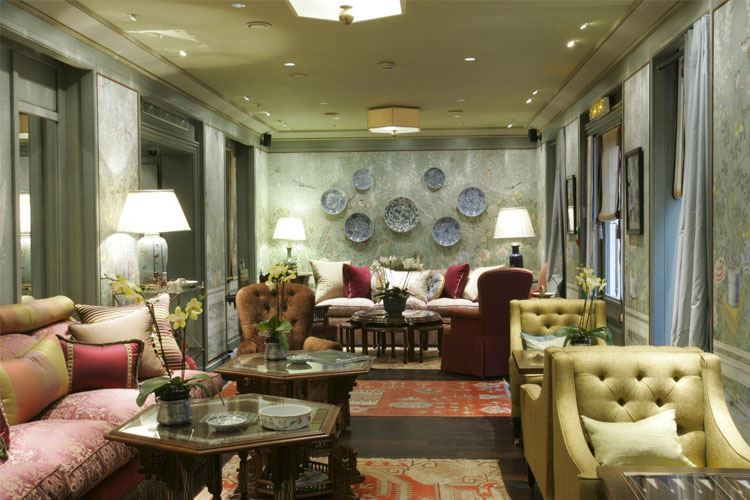 Décor at Hotel Daniel was created by international designer Tarfa Salam, and features hand-painted Chinoiserie wallpaper in the style of the 18th century, hand-made noble timber furniture, fabulously comfortable sofas, silks from the Orient and shimmering satin. As befits a Relais & Châteaux establishment, the hotel offers a full range of bespoke services, along with gourmet dining at the Restaurant Le Daniel, where guests can enjoy a clear, sophisticated menu based on the finest market-fresh produce and regional delicacies, carefully chosen by artisan suppliers. 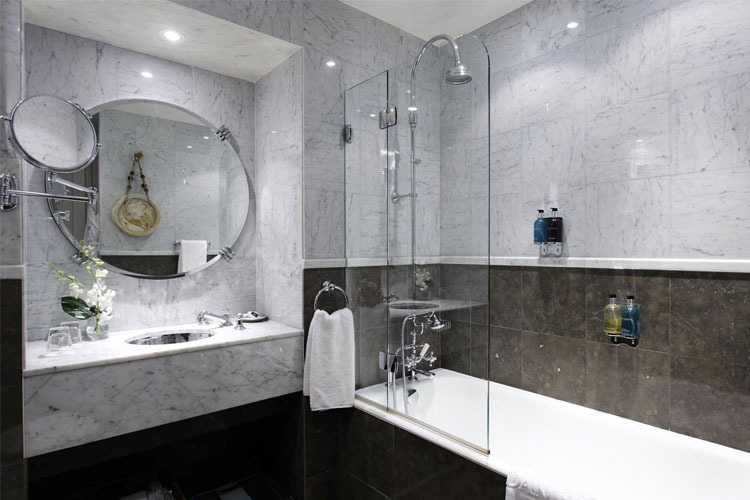 Small and very charming, these rooms come with spacious Italian marbled bathrooms: some with a a bathtub and some with a very large shower. Wheelchair Accessible rooms in Classic single room only. One full-sixe bed (120 cm). 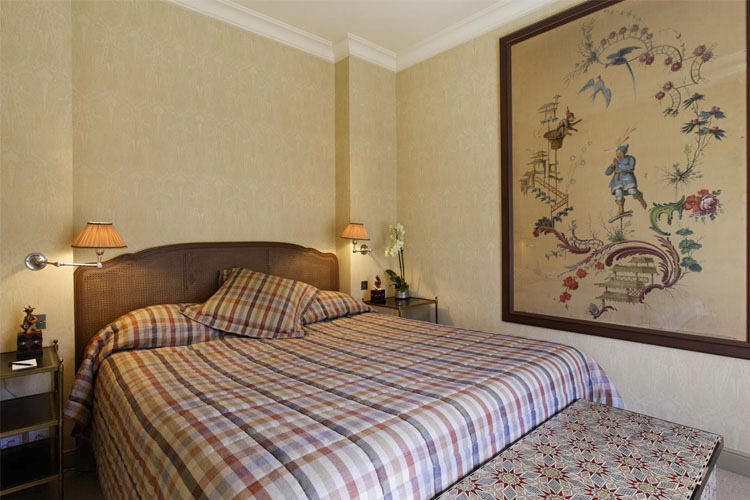 Room size 15 to 18 sq m.
Very charming rooms of 20 to 25 sq m. The bathrooms are in Italian marble and some feature Moroccan earthenware and large windows with daylight. Queen, King or twin beds. Some can be connected with other classic double rooms. 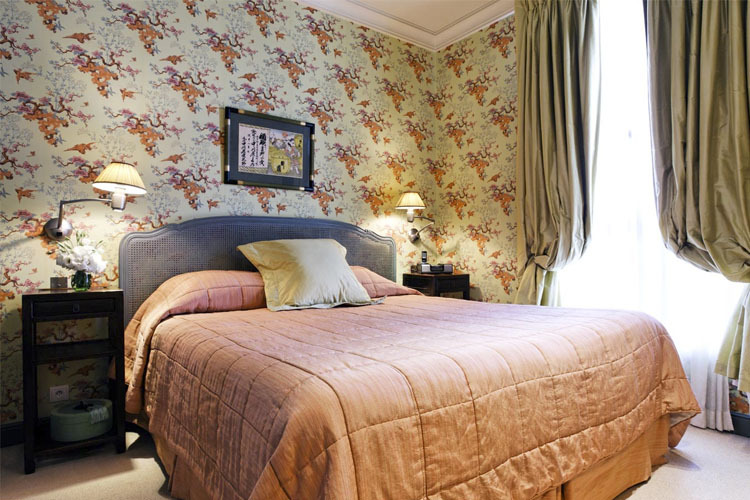 Located on the top floor, the deluxe rooms are spacious, filled with light and very charming, with mansard-roofed windows overlooking the Parisian rooftops. 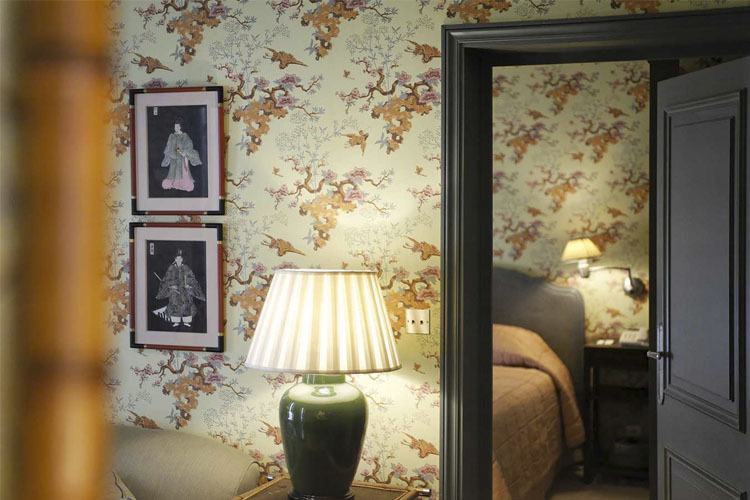 The ''Toile du Lac'' room measures 25 sq m, and comes with a king-size bed and a bathroom with natural daylight. Beautiful view over the rooftops of Paris. The ''Marco Polo'' measures 30 sq m, and comes with a king-size bed or twin beds. 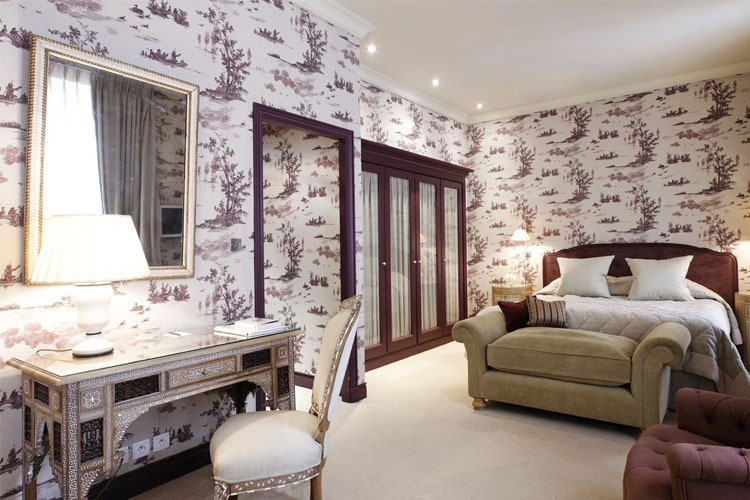 The Junior Suites feature a large bedroom with a sitting area, some with a balcony. One king-size bed or twin beds, one extra bed can be added on request. 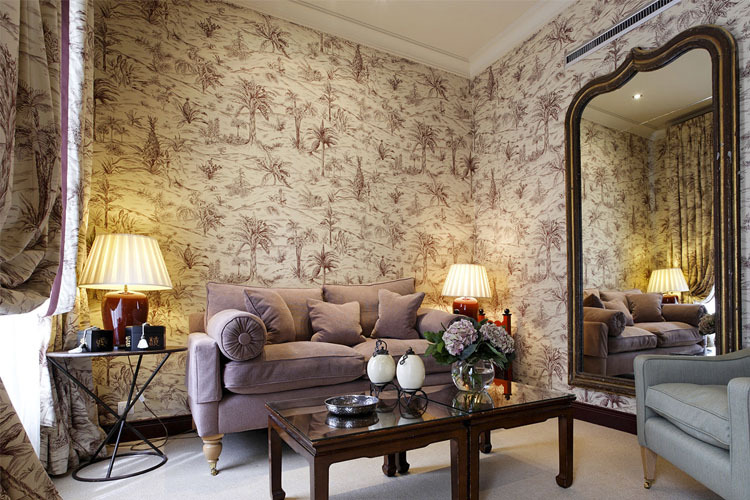 Suite size 32 sq m.
These Junior Suites have a bedroom separated from the living room, and some feature a balcony. One king-size bed or twin beds, one extra bed can be added on request. 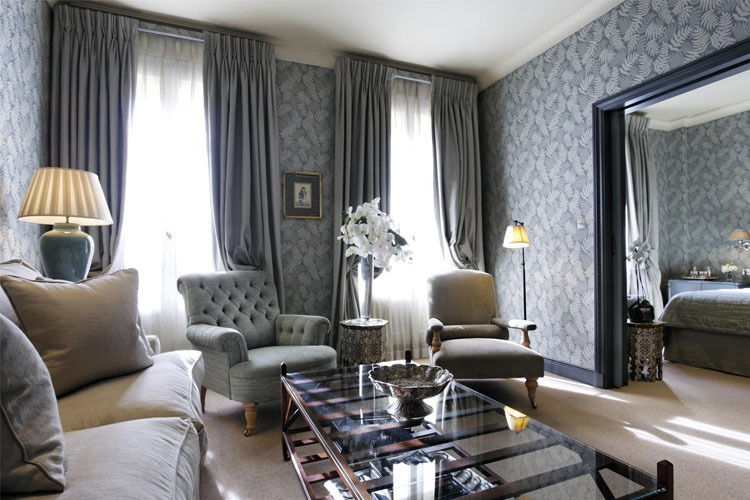 Suite size 32 sq m.
Suite Paris overlooks the inner courtyard and has a large bathroom immersed in natural light. This suite is a haven of calm away from the stress of city life. One king-size bed or twin beds, one extra bed can be added on request. Suite size 35 sq m.
Situated on the hotel's 5th floor, the Daniel Suite is the biggest guest room in the hotel and comprises two rooms and a spacious bathroom. French windows open out onto a sunny balcony from where the top of the Eiffel Tower can be glimpsed. Breakfast with a view: a truly Parisian experience that guests will never forget! One king-size bed or twin beds, one extra bed can be added on request. Suit size 40 sq m.
All rooms feature: individual climate control; mini-bar; in-room safe; LCD television with French and international channels; CD, video & DVD player on request; multi-line telephones; double glazed windows and black-out curtains; bathroom in marble or ''zellige'' Moroccan earthenware; hair-dryer; Oriental pure olive oil soaps and bath salts from the Dead Sea; extra-sized ''Molton Brown'' shampoos and bath soaps; 100 % cotton oversized bath towels; thick terry bathrobes & slippers; 100 % cotton fine linen; down and non-allergic pillows available. Charles de Gaulle Airport is 33,4 kms. from the hotel. Luxury transfer services can be arranged on request. Charges apply. 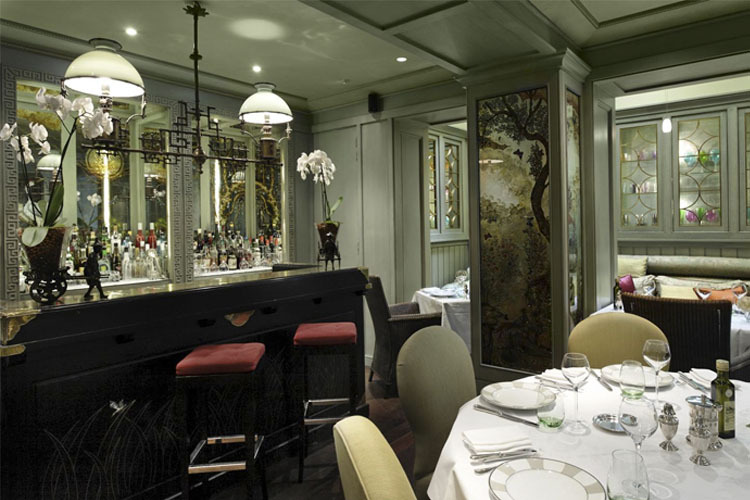 Year of establishment and/or latest refurbishment: 2006.
Credit cards accepted: American Express, Visa, Euro/Mastercard, Diners Club, JCB, Carte Bleue. 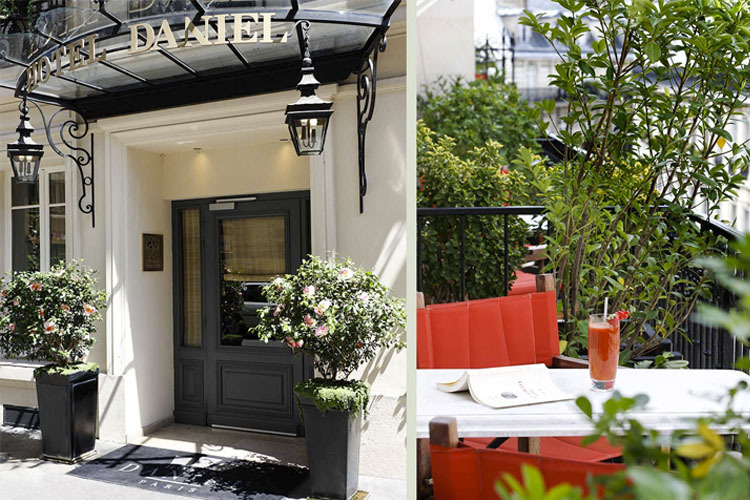 Restaurant closed: Restaurant Daniel is open from Monday to Friday, from 12 noon to 14:30pm. and from 19:30pm. to 22:30pm. Closed in August. 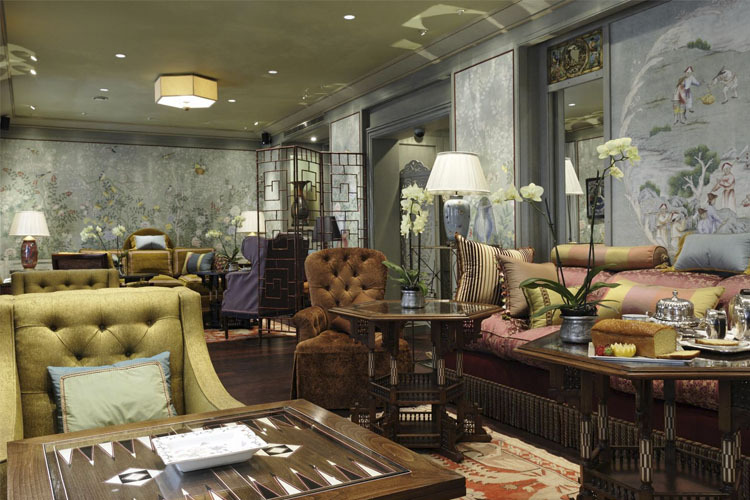 Breakfast, lunch, tea, dinner and cocktails: open 7 days a week, from 07:00am. to midnight. Brunch is served at weekends. Nearest airport: Paris Orly Airport - 23,2 km. Golf - 11,7 km: Golf de Saint-Cloud.